Poverty, homelessness, abuse, and discrimination. These are some of the issues that far too many young people deal with every day. On top of, and often related to these, are legal problems. Community organizations mandated to work with vulnerable youth need to be prepared to deal with all types of challenges. Niko was a youth trainer, facilitator, and then supervisor for a unique training project called Acting OUT-Street Law Smarts. The project was an initiative of SKETCH, a community arts enterprise based in Toronto. SKETCH works with diverse youth who are navigating poverty, and other issues that may be keeping them on the margins of society, to build leadership and self-sufficiency through the transformative power of the arts. In partnership with lawyers and legal experts, this unique program was designed and run by youth to educate frontline workers about the most common legal issues young people experience and the best ways to help. Through a series of workshops, SKETCH youth trainers role-played dramatic scenes for service providers based on real-life scenarios they have faced. The project was funded by The Law Foundation of Ontario, receiving two grants over a four-year period. The service providers who attended the ACTing Out training do not offer legal advice. Yet, these providers have been entrusted to assist young people in situations where legal issues arise. And, they are often the first, sometimes only, people that youth approach for support. Through the SKETCH training, these workers learned how to support marginalized youth identify legal issues, provide basic information related to the issue, and, when needed, refer them to legal resources. These frontline workers became trusted intermediaries between youth and the law. The scenarios included ones that involved human rights violations, inequities in the law, housing and tenant rights, harassment, and employment rights. Service providers were asked to be players in each scene. They used their existing skills and knowledge to work through each problem. 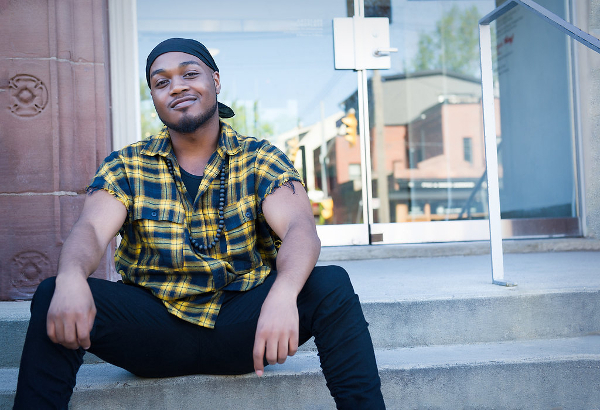 “It was really effective for the service providers because they could recognize the stories and see what was and wasn’t working for the youth and then they were able to find ways to change so that, in the future, they could provide a solution that would work better,” says Niko. A lawyer was part of each training session and would help identify the legal issues and how to effectively address them. This could be anything from the legitimacy of an eviction notice to understanding the gender information required on legal identification. The youth trainers would then provide feedback on how the frontline workers’ actions and words made them feel. The program has had long-term lasting effects on both the frontline workers who participated and the youth who delivered the program. The Law Foundation of Ontario has supported the unique and important role of trusted intermediaries for many years. Since 2015 alone, the Foundation has provided close to $15M in full and partial funding for the training and supports of trusted intermediaries so they can provide better legal information and referrals to those they serve. The Foundation recently commissioned research to gain a deeper understanding of the role of trusted intermediaries. Read about the research findings on this webpage: Trusted Help: the role of community workers as trusted intermediaries who help people with legal problems. The Foundation also recently commissioned an evaluation of our Connecting Region program, which is an initiative of our larger Connecting Project. The evaluation focused on the effectiveness of the Connecting Ottawa project and seed funding that was granted to three consortiums to develop a regional model. Download a PDF of the evaluation report here: The Law Foundation of Ontario Connecting Region: Final Evaluation Report (2018).